A woman’s ability to multi-task is legendary. With demands from work and family, women are constantly looking for ways to simplify their lives. Many women considering LASIK vision correction have friends who have had the procedure and recommend it. They may hear how the procedure results in cost savings, or how their friends describe the procedure as life changing. Women have a different set of priorities, preferences, and attitudes than men when researching a potential purchase like LASIK. While men look for a good solution, women are looking for the perfect answer. Women will invest more time and undertake a more comprehensive process than men as they seek to qualify both the LASIK procedure and the potential surgeon. Women think, compare and discuss with their trusted advisers whether this solution will meet their needs. And because they’ve done their homework up front, women in turn feel more confident recommending their choice to others. Of course, the most significant benefit of LASIK is the ability to see more clearly without glasses or contacts. This improvement in visual acuity provides many advantages, both at work and at home. Reading street signs or meeting agendas, watching movies or reading restaurant menus are all made better with LASIK. Many women begin wearing glasses in middle school and graduate to contacts in high school, yet never adjust to the irritation and inconvenience that often results. As they get older, women often invest in higher-priced designer eyeglasses to feel more confident. Though this solution solves the discomfort of contacts, the ability to enjoy physical activities can still elicit ongoing frustration with glasses slipping or falling off. LASIK allows women to break free of both eyeglasses and contact lenses, instilling a greater sense of self-confidence. Applying makeup can be a major challenge for women, whether they wear eyeglasses or contacts. Mascara can smudge glasses, or flake onto contacts. Foundation or tinted moisturizer leaves daily residue on glasses that dries and hardens. And it’s nearly impossible to put on eyeliner when you have to wear glasses to see what you’re doing. LASIK can eliminate all of these struggles and provide women with greater freedom to experiment with using makeup to showcase their eyes. For many women, being a mom is the most important job in the world. Many worry about the ability to help their children in an emergency if they can’t quickly find their glasses or have to stop to put in contacts. Knowing they can see the clock, dial 911, locate the car keys or read a prescription label is a great source of comfort for many moms. Responding to their children’s needs has many women considering LASIK or other laser vision correction procedure. Every woman wants to look her best on her wedding day. And more often than not, that means not having to deal with eyeglasses or contacts. Having LASIK well before the big day allows the bride to feel beautiful and cry happy tears without worrying about fogging glasses or shifting contacts. Over 50 percent of all business owners today are women, and many more women are either required to travel for business or simply travel for pleasure. Having to pack glasses and contacts, along with the myriad of other items that go with them is often extremely inconvenient. With LASIK women can pack without having to refill an elaborate eye-care kit. Because fluctuating hormones can impact refractive stability, LASIK is not recommended for women who are pregnant or nursing. Those same fluctuating hormones are also at play during menopause, and will temporarily disqualify a candidate until hormones return to normal levels. While the FDA has approved LASIK for anyone over 18, it’s best to wait until the mid-twenties when refractive power has stabilized. There is no age too old to get LASIK, though conditions occurring later in life, such as cataracts, can impact eligibility. 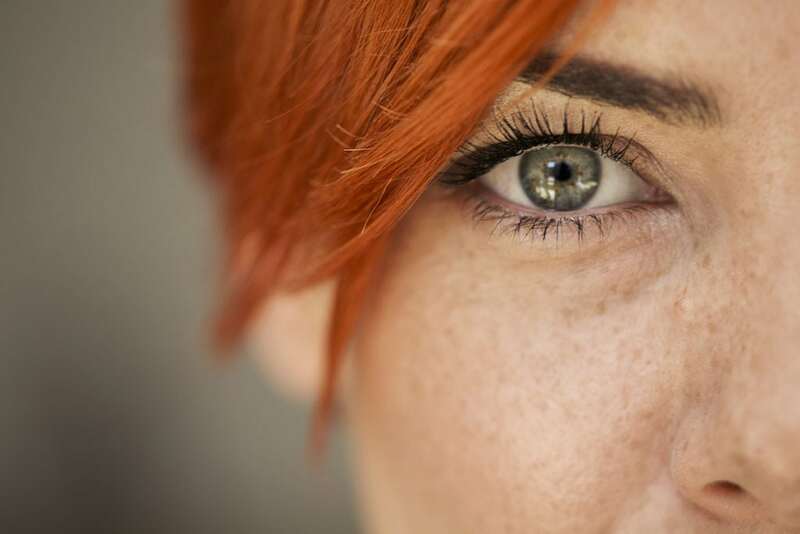 While each woman considering LASIK is unique, for most the procedure can be the perfect solution to living a life dependent on bothersome glasses and contact lenses. Whether looking to support an active lifestyle, pursue their professional career with confidence, or simplify their daily routine, women can learn more about the benefits of LASIK by scheduling a consultation and evaluation with a qualified refractive surgeon.